My brain danced with happiness when I came to think of this yesterday. I've been wanting to do something with glass painting markers a long time, when suddenly the famous design of the Unknown Pleasures record by Joy Division popped into my head. The graphic line structure is very thankful and easy to print on almost anything. It doesn't need colour or shapes. It's been used a thousand times for tattoos and all kinds of merchandise ever since the record was released in the seventies. 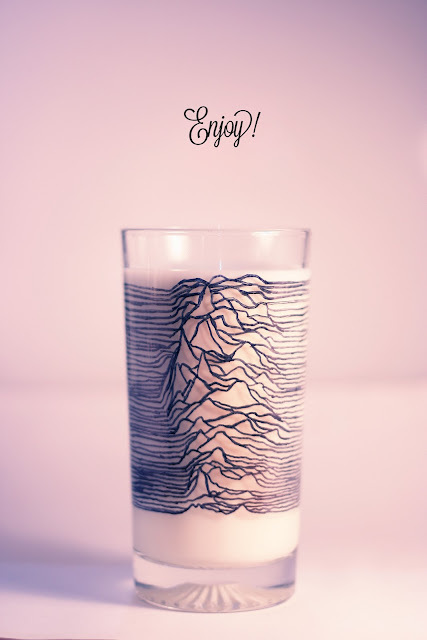 Since I am a fan, it's always a pleasure when I can funk anything up with Joy Division-related graphics. So I hope you like it too! And if you're not a fan, you can use this tutorial as an inspiration to make something similar. 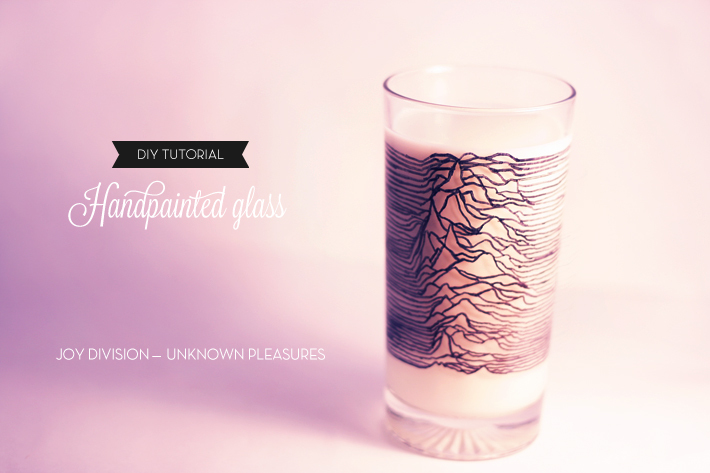 For a few pennies you'll have a trendy drinking glass with some Urban Outfitters allure! 1 - WHAT YOU'LL NEED: Look for a regular drinking glass to the shape and size you like. Thrift stores are great for things like that. 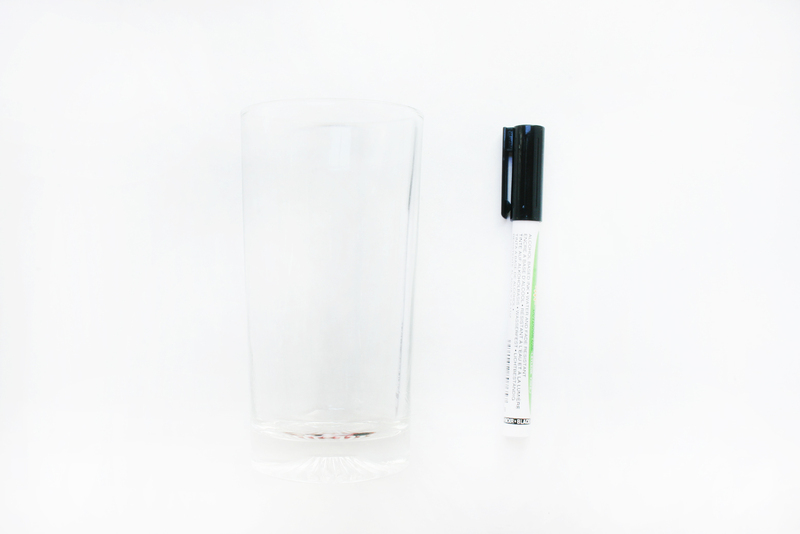 Also find a glass painting marker with 5/7mm thickness. 2 - Print out the design below or leave it open on your computer screen to directly draw it from there. I chose the second to save some paper ;) You'll find a high resolution version of it here. 3 - Now you'll be needing some time to draw the design onto the glass. You can work on this as long as you want, it doesn't really matter if you haven't got a perfect copy. The design is kind of recognizable in itself. Do watch out when drawing the separate lines though, the middle is the hardest part because the lines don't cross each other. So you have to watch out where the lines end and where/when you need to continue them. I suggest drawing one line at a time and working your way up/downstairs. Also go around the full width of the glass to 'close' the design. If you have a hard time to draw the lines straight, try to use the bottom of the glass as a guide. 5 - Now you can fill the glass with milk to enjoy your design and watch the lines fill up!